The kilogram is the base unit of mass in the International (SI) System of Units. 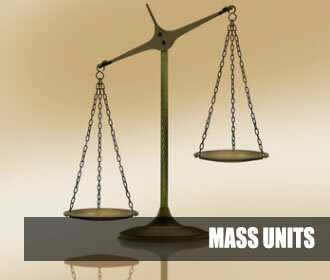 The smallest unit of mass is ounces (oz). One ounce weighs about the same as a slice of bread. A gram (g) is used to measure the weight or mass of very light objects. A small paperclip weighs about a gram.